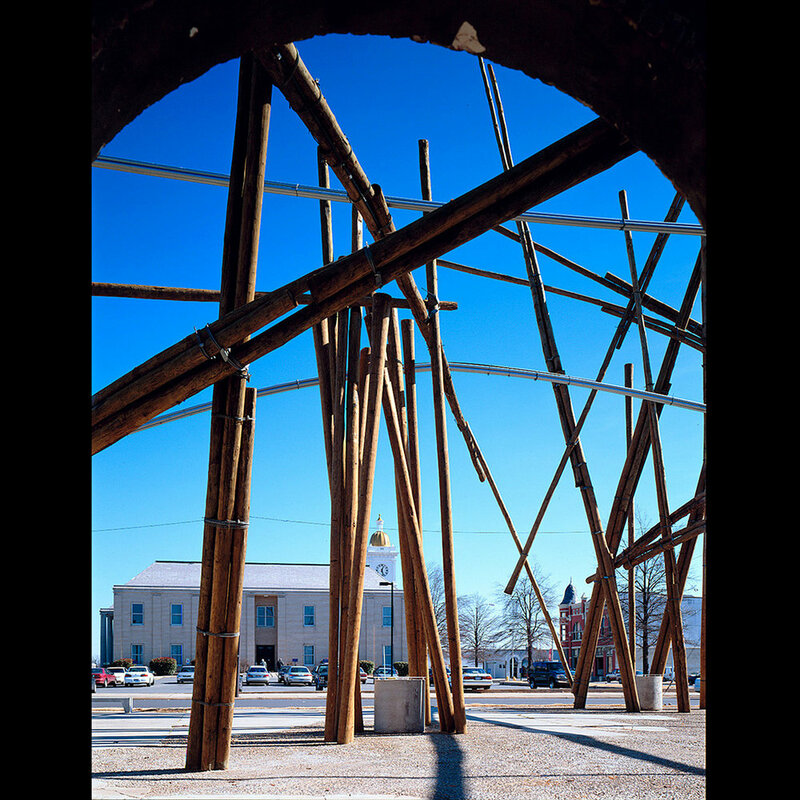 In residence and working with local government, industry, schools, cultural and community organizations, Stephen Glassman reclaimed a derelict historic waterfront area to create a permanent freeform structural central plaza. The SOUTHEAST SHEAR project included renovation of an 1877 cast iron industrial facade, an artificial river and thermostatically controlled misters, landscaping, sewer and sidewalk construction. Collaboration with the port authority, city bridge crews, and logging industry generated a genuinely innovative merger of pier construction technology and traditional bamboo construction.